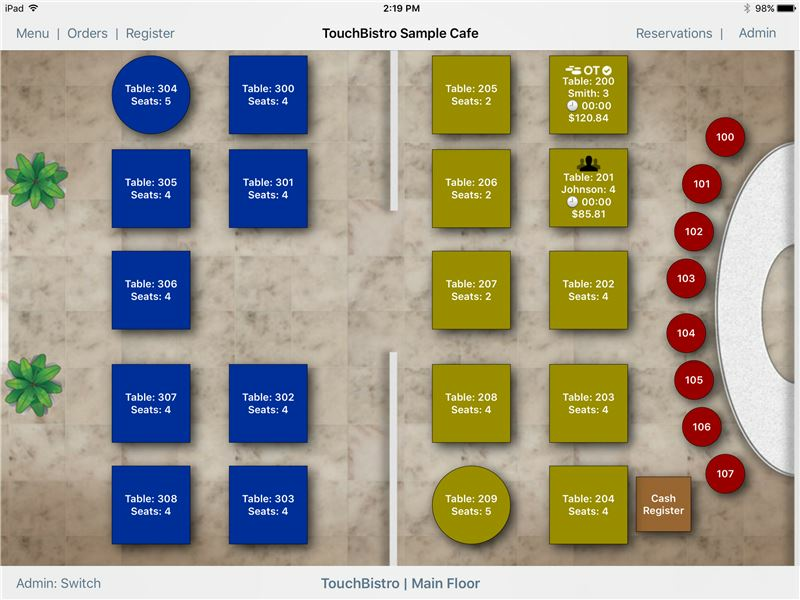 TouchBistro is the easy and smart iPad point of sale designed specifically for restaurants. TouchBistro helps restaurants increase sales, improve service, and make informed decisions about growing the business. 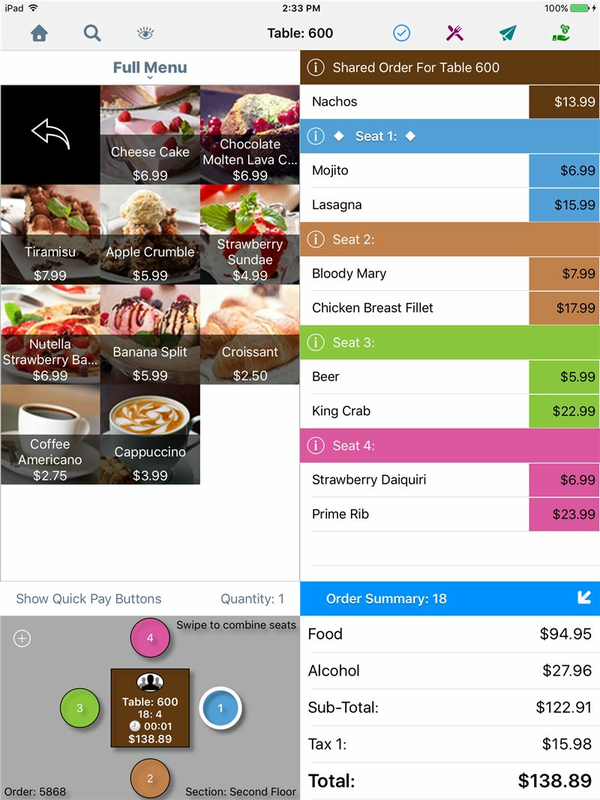 By making the point of sale mobile, TouchBistro has revolutionized restaurant operations. Restaurateurs have reported the TouchBistro app has helped them increase profitability as much as 14%. Some have seen an increase in revenue by as much as $2000 several days a week. Others have reduced inventory costs by as much as 30%. TouchBistro uses Apple hardware that can be purchased off the shelf to deliver a cost-effective, mobile solution, unlike the expensive proprietary hardware devices sold by traditional point of sale systems that are stuck in fixed positions. Serving staff can enter orders into TouchBistro on an iPad right at tableside and send them to the kitchen for preparation with just a tap, eliminating much of the usual running back and forth. Even complex actions like bill splitting or combining orders from different seats are easily done at tableside when requested by customers, with only a tap or swipe. When orders are being taken, serving staff can see forced modifiers listed on the iPad of what to upsell and food preparation variations, so there are no missed sales opportunities, guessing or mistakes. Waiters also have food pictures and allergen information at their fingertips when talking with the customer to help patrons make better meal selections. Integrated and secure EMV payments can be taken at the table as well, speeding up payment processing. Together, these functions help serving staff deliver an exceptional customer experience. Managers and staff say the TouchBistro interface is so simple to learn, they can get up to speed on the app in less than 30 minutes. Owners and managers can control, monitor, and measure operations from any device, anywhere, anytime with the comprehensive security and robust cloud reporting features TouchBistro offers. It is also easy to customize reports, menus or other variables unique to the restaurant without any costly programming fees. TouchBistro is committed to providing the tools a busy restaurateur needs in a convenient, mobile package that works as the heart of restaurant operations. This includes partnerships with best-of-breed third-parties, such as supporting multiple payment processors like Vantiv and Square; integration with popular restaurant and business apps like Quickbooks and Xero; and providing APIs for future integrations. TouchBistro is the #1 grossing iPad point-of-sale App for restaurants in 37 countries.  TouchBistro may be downloaded for a free 30-day trial from the Apple App Store. At no additional charge, world-class training, installation and technical support teams with extensive restaurant experience are available 24/7.